Driving along on my way to work I listened to the dreamy psychedelic sounds of Queensland band, The Babe Rainbow, singing Secret Enchanted Broccoli Forest. The song brought to mind an amazing book we have in our collection entitled Carl Warner’s Foodscapes. 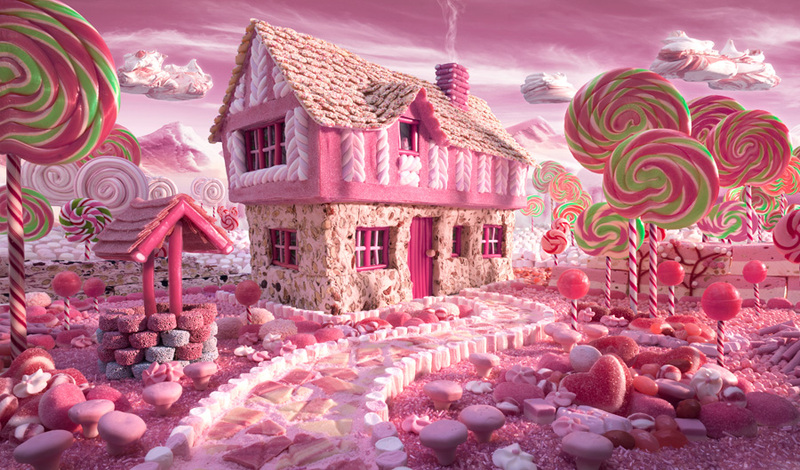 English photographic artist Carl Warner has created a series of surreal landscapes composed entirely of different foods. 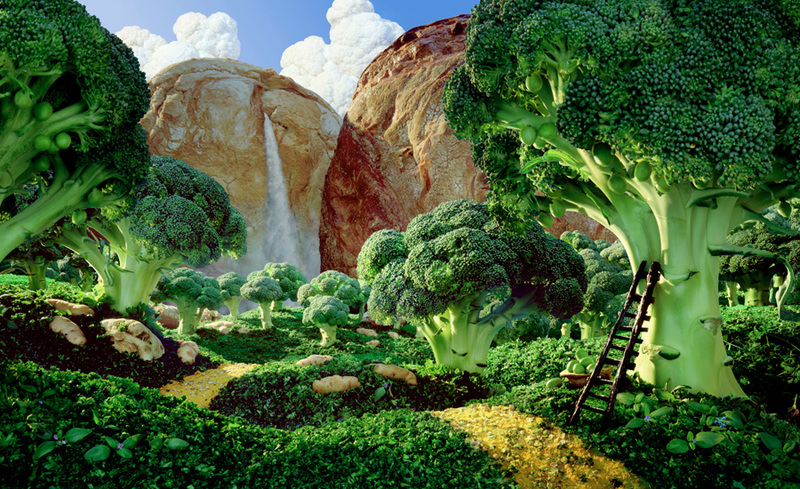 Including of course, the Broccoli Forest, featuring mountains made of bread loaves and cauliflower clouds in the background. Carl can take up to five days to put together the elements for one of his fantastic Foodscapes, perfect and photograph it. Viewing Carl’s work you will also be intrigued many other scenes such as the Spaghetti Western, the Great Wall of Pineapple, the London Skyline made of food, a White Chocolate Castle and a Candy Cottage – watch out Hansel and Gretal! Carl has also published a second book for children called A World of Food. A World of Food features scenes composed of food of predominantly one colour, accompanied by poems that help readers discover the ingredients for themselves in the images. 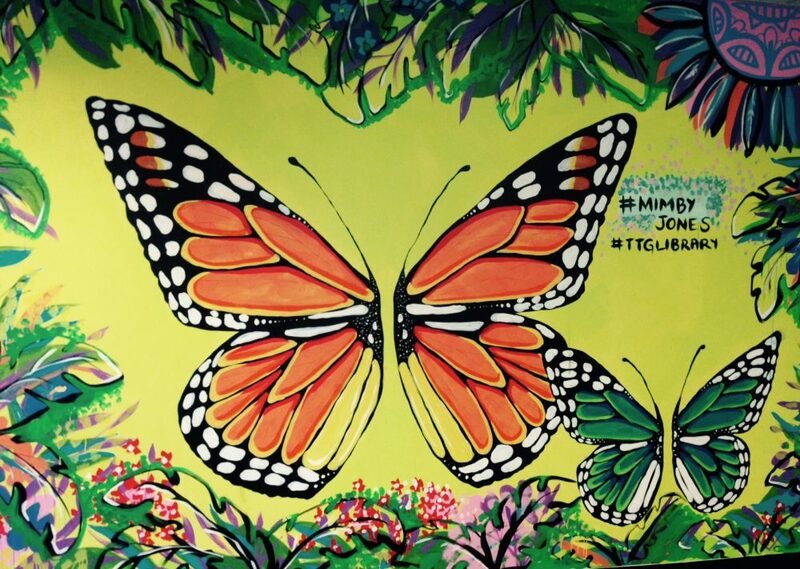 The aim of the book is to alter children’s perceptions of food and encourage healthy eating. This entry was posted in books, new resources and tagged A World of Food, Broccoli, Carl Warner, Foodscapes by adrienne12. Bookmark the permalink.